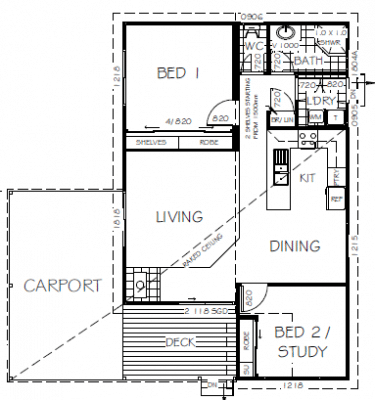 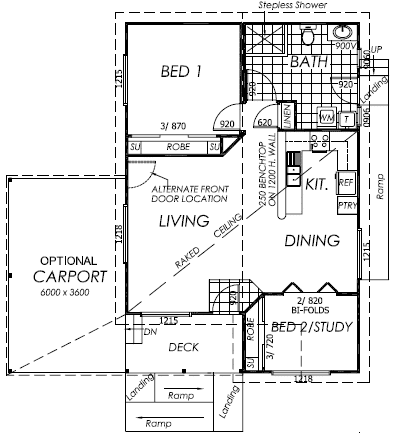 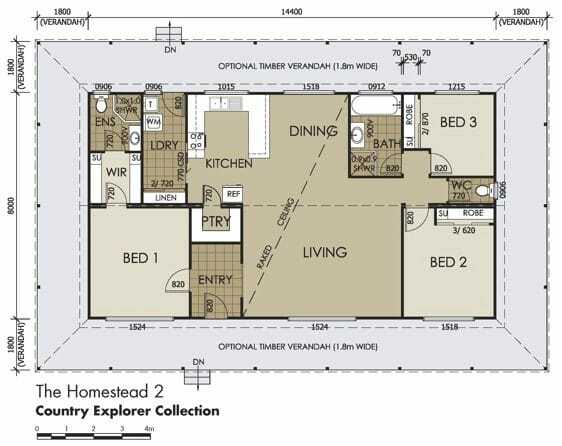 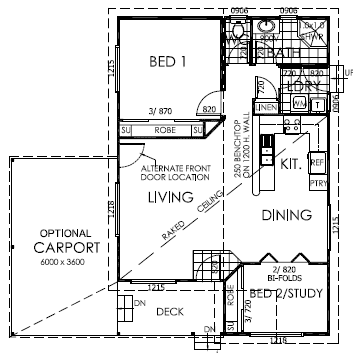 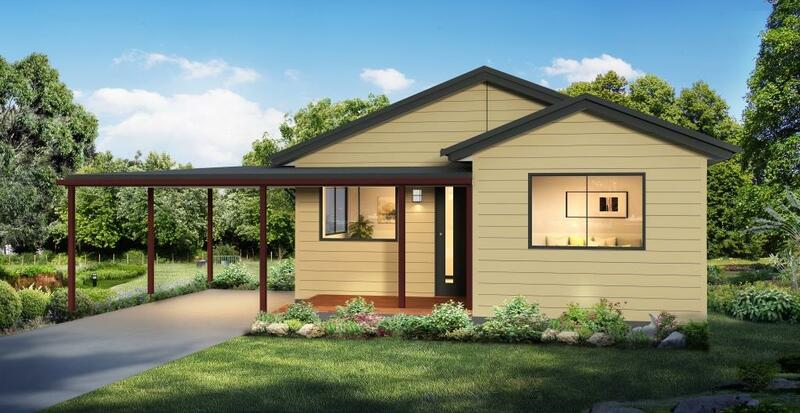 The Ashburn is a compact-sized home with comfortable living. 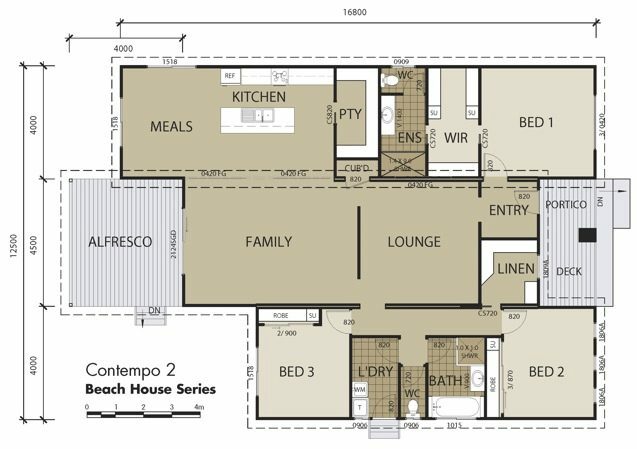 The design features a large living room, adjacent to a spacious dining area and kitchen, complete with a storage pantry. 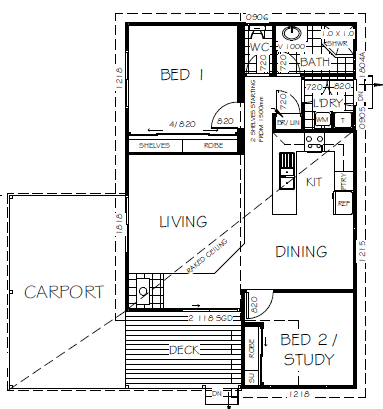 The standard design offers two bedrooms, each providing ample storage space with a robe and built-in storage units. The basic design also offers a full-sized bathroom, along with a laundry area that can double as a mud room, with easy access from the outside. 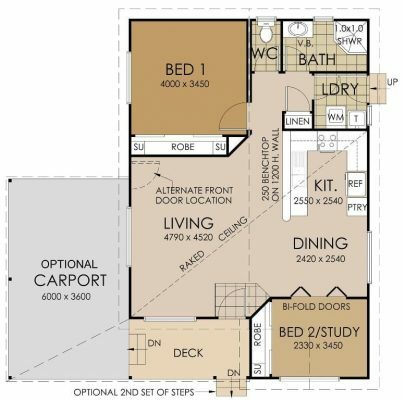 The basic Ashburn home includes a full-sized deck at the front of the home. The Ashburn home is easily customisable to suit your needs. 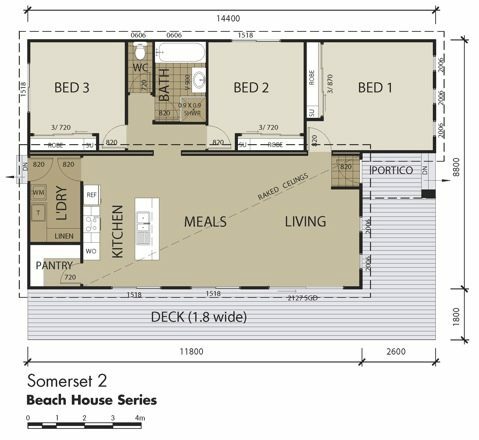 All the living areas is on one floor and for those desiring wheelchair access, an outdoor ramp can be added to the exterior, as well as a stepless shower in the bathroom. 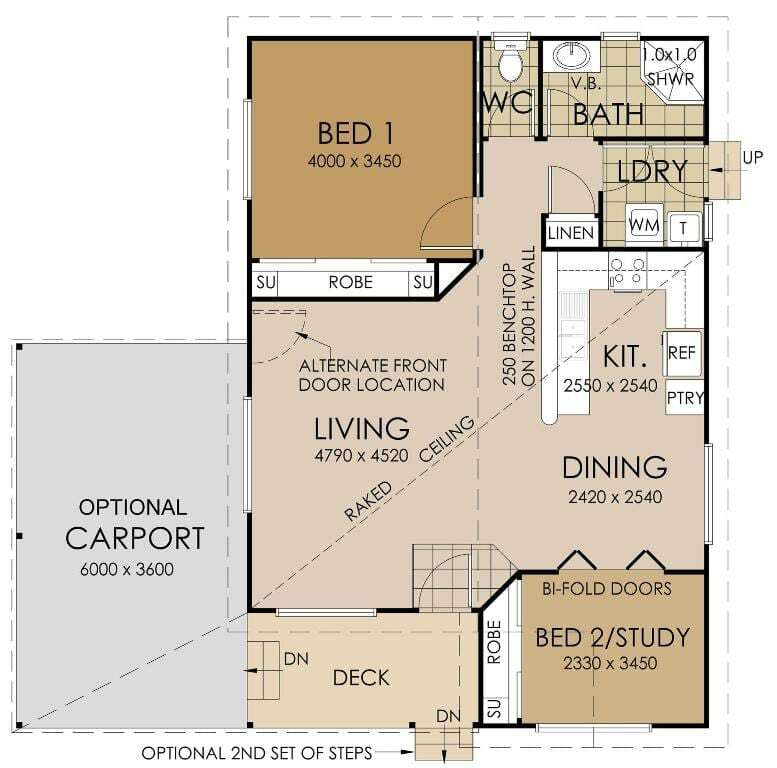 If only one bedroom is needed, the second bedroom can easily be reconfigured into a home office, craft or exercise room. A carport with cover entry is another great addition to keep homeowners safe and dry. 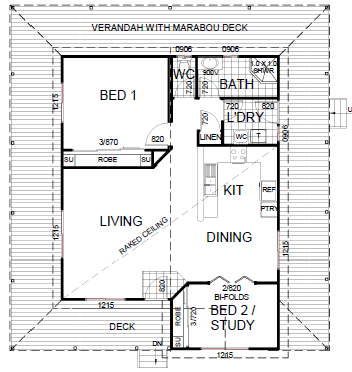 Enjoy the outdoors with a wrap-around veranda around the entire outside of the home, providing generous space for outdoor dining, entertaining, or relaxing with a cup of tea.